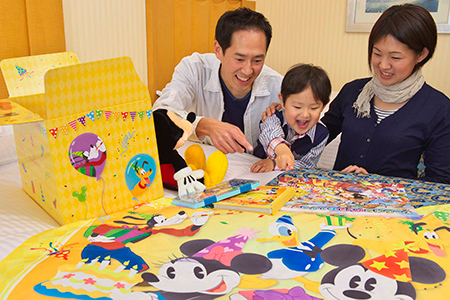 Today, it is the story of birthday gift. ♪ It is good news to everyone! 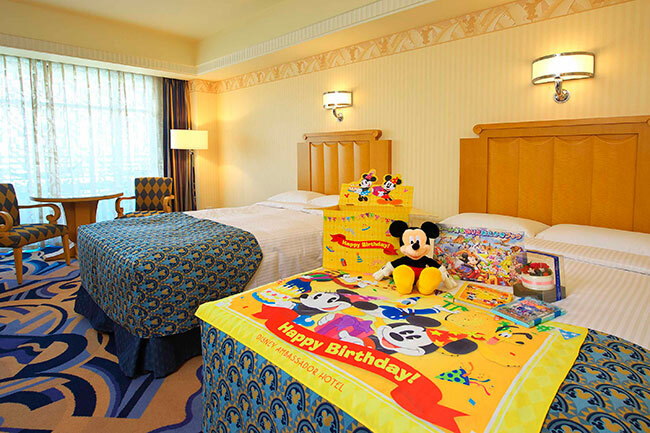 In the Disney Ambassador Hotel, option plan "Special Kids Birthday Plan" to celebrate the birthday of the children as of April 1! Unique gifts and Disney, in the rooms of the original decoration has been applied to the bed, this plan is a plan to celebrate your child's Special Birthday! In a cute gift box, photo album, etc., and a stuffed Mickey Mouse! When you enter the room when the child's face is priceless! Special photo opportunity!